How to fit DRO to a milling machine? One frequently asked question we’ve found when it comes to our new glass optical digital readout systems relates to how to fit them. And it’s a good question, as these we started offering the new lower cost systems with customer fitment in mind. In the past, we’ve tended to fit these systems in our own workshop for customers, and this is something we’re still happy to offer – our engineers have many years of experience fitting these systems so we’ll always be on hand to help. The advantage of buying one of these systems for self-fitting is the saving on the labour cost of having it done professionally by us. And believe it or not, it can often be a rewarding experience. Each system we supply comes with both a DRO operation manual and a separate installation manual showing what goes where and how to install. 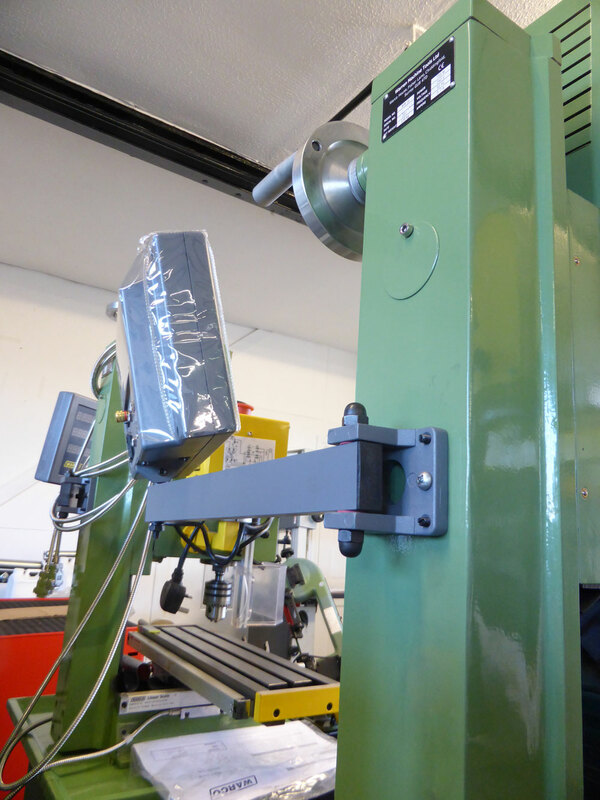 To accompany those instructions – because pictures can often be more useful than words – we’ve posted some mill fitment photos in more detail below. 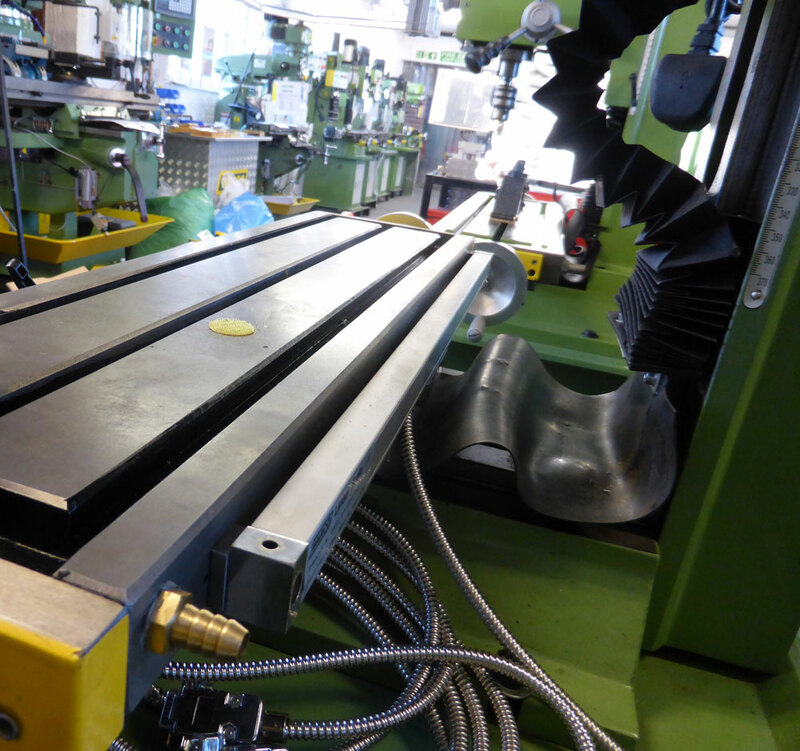 These photos show as an example an install we’ve completed on a milling machine, in this case a WM14/ WM16. The same principles will apply to larger sized mills too. The front of the mill, showing the counter location. The location of the longitudinal travel scale on the rear of the mill table. 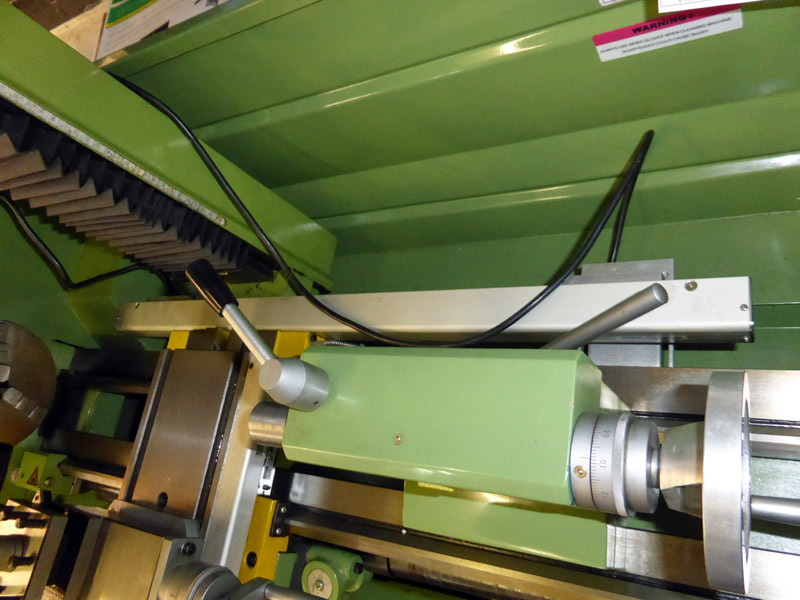 A closer look at the cross traverse scale mounted to the machine. We use bight mild steel to support the scale overhang. The cross scale viewed from the rear. Here you can see the supports supplied as part of the fitting kit with our system. And here’s where we locate the mounting bracket for the DRO counter. These images are a general guide to fitting locations, and you might find you have a different method that suits your needs in some other way. A general purpose bracket is provided as part of the kit, designed for modification depending on application, so it’s worth noting it may vary in appearance from the one shown above. The counter bracket location is less critical than the scales, you can afford to be more freestyle here. These images should be a handy starting point in combination with the provided manual. And as ever if you have any further questions, feel free to get in touch – we’re always happy to help. 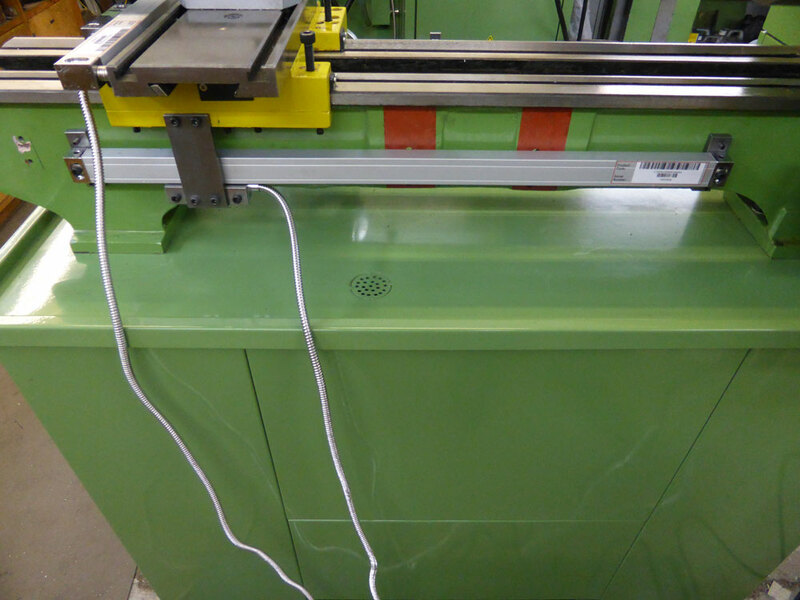 Following on from the milling machine DRO images, if you’re looking for pointers for how to mount your glass optical digital readout scales to your lathe, here are some example images of where we’ve fitted them on this WM 250V. Also shown in these examples is a WM290V. Showing the scale for the cross travel. This is after we have drilled and tapped the necessary holes and mounted it into position. Another view of the cross travel scale fitted to the lathe. Another view from the front of a lathe with scales fitted. Here a WM 290V is shown (note the milling attachment at the rear). View from the back of the lathe showing the longitudinal scale. Note we’ve removed the machine’s rear splash guard for better fitting access. Another view from the back, showing the scale mounted after drilling and tapping in the appropriate places. 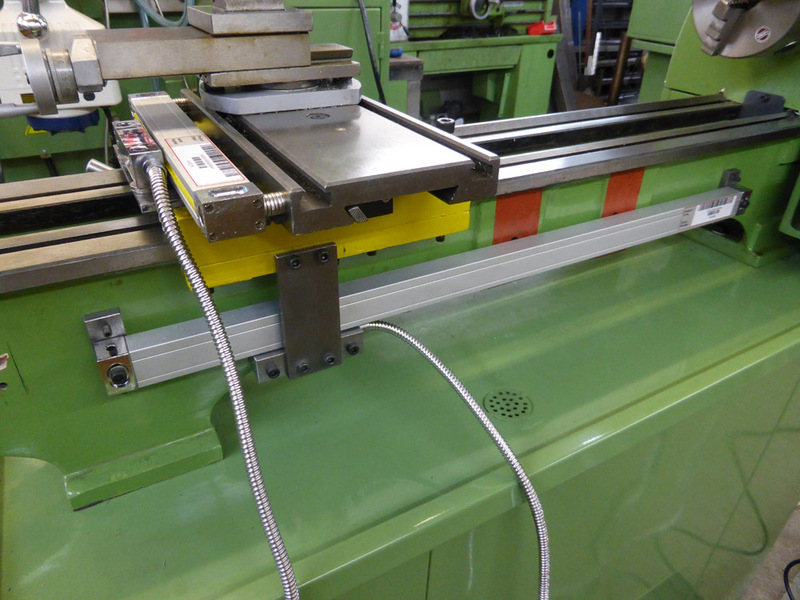 And here’s another example of that same axis with the splash guard refitted – here on a WM 290V lathe. Note on this lathe there’s a milling attachment in place; the narrow section design of the scales means with the milling column mounted, movement is still unrestricted. Finally, there’s the mounting of the counter. This slightly less critical so you can be more freestyle here. The headstock end makes most sense for readability, shown in this example on a WM 250. Supplied general purpose bracket is intended for modification depending on your specific application. The end result of a fully configured WM 250V with 2 axis DRO. The visible cables would usually be tucked neatly out of view – we have them on the swarf tray for convenience as this is a display model. Warco DRO systems come with the above installation manual, illustrated throughout with step by steps. With any luck, with the manual to hand alongside these example images, you should be well equipped for completing the satisfying job of your own installation. Anything we missed, or something you’re still not sure about? Let us know in the comments below! We’ve noticed more and more people keen to fit glass optical digital readout systems to their machines, but found existing systems too expensive to justify, especially for home workshop and small scale engineering businesses. With that in mind, we introduced an all new glass optical system specifically designed for metalworking lathes and mills at an affordable price. 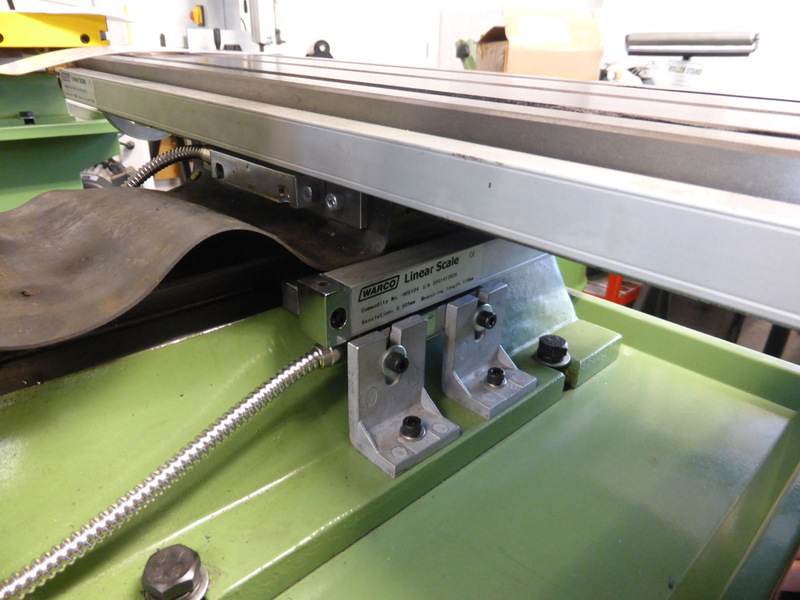 This system has the added advantage of using small section scales, so where space is tight on smaller machines like the WM 14 or WM 180 / 250 lathes there is still no space issue. Because this system is sold for self fitting, there’s a big saving. 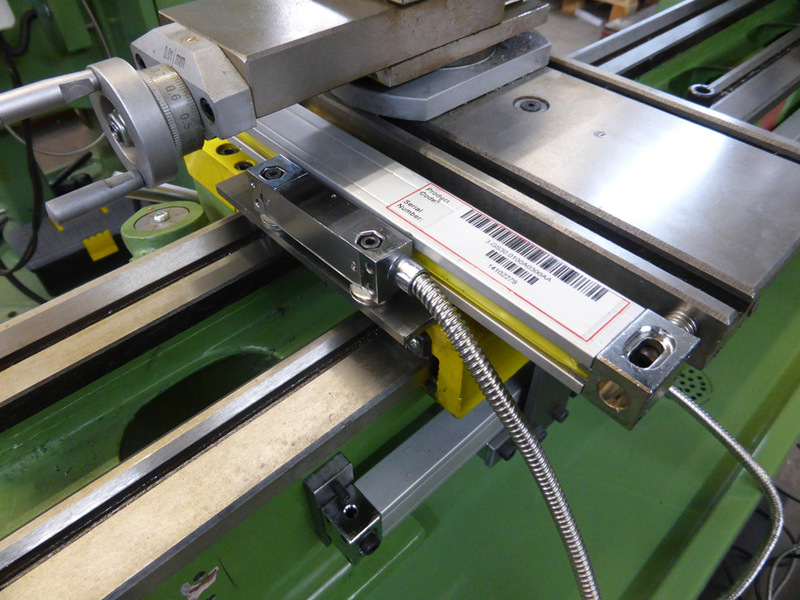 Each counter two comprehensive manuals – 1x operation instructions and 1x guide to fitting. You can read more about the counter shown above here. If you aren’t using coolant on your machine and don’t require a waterproof system, even cheaper options than this exist. This digital readout counter in combination with the corresponding scales is a cheap alternative to the more professional level systems. You can find these here. We receive a lot of requests from people asking us if we have any videos of our products. With that in mind it was lucky an excited customer of ours shared this video he made introducing the Warco WM 180 lathe. It’s a pretty good introduction to the machine, especially if you haven’t seen one in person yet. We enjoyed it, hopefully you will too. 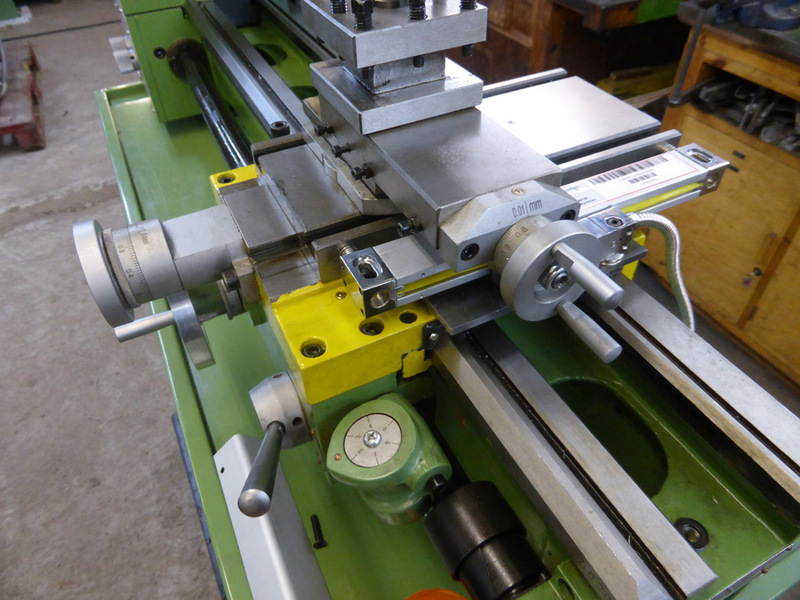 We’re very fond of the WM 180 here, it’s one we’ve been selling for over 15 years now and has long been amongst our favourite small lathes, and hundreds of them have made their way into happy engineering and home workshops over the years. Read more about the specs here. Prospects College asked us to supply and fit a large workshop as part of their building of a training centre. As one of the most prominent providers of vocational training in South East, Prospects have over 40 years experience of working in partnership with businesses, delivering a range of innovative training courses to meet the skill requirements for the community. We were happy to equip a large setting providing the tools needed for a range of engineering apprenticeships and vocation training. We offered a fitting that was uniquely tailored to their requirements. Here are some details of the installation. 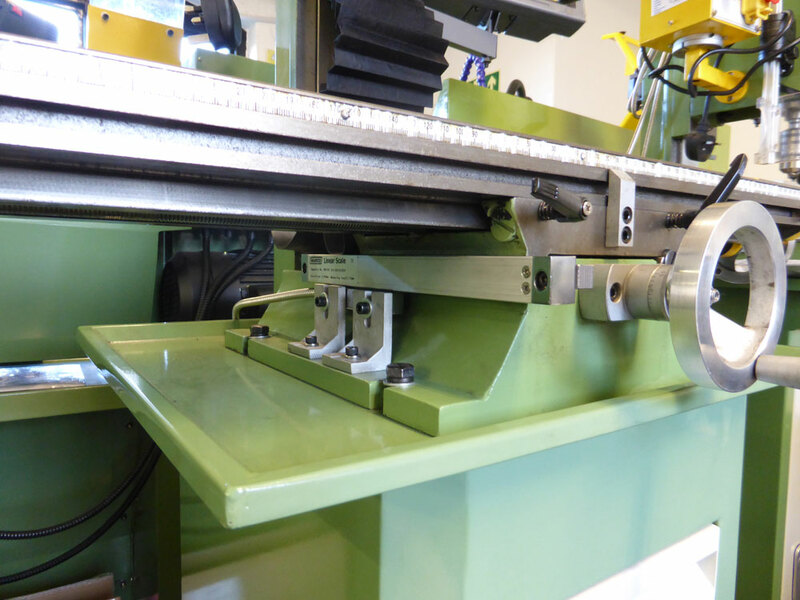 Here the milling machines and lathes are all set up and in place after a bespoke Warco installation. 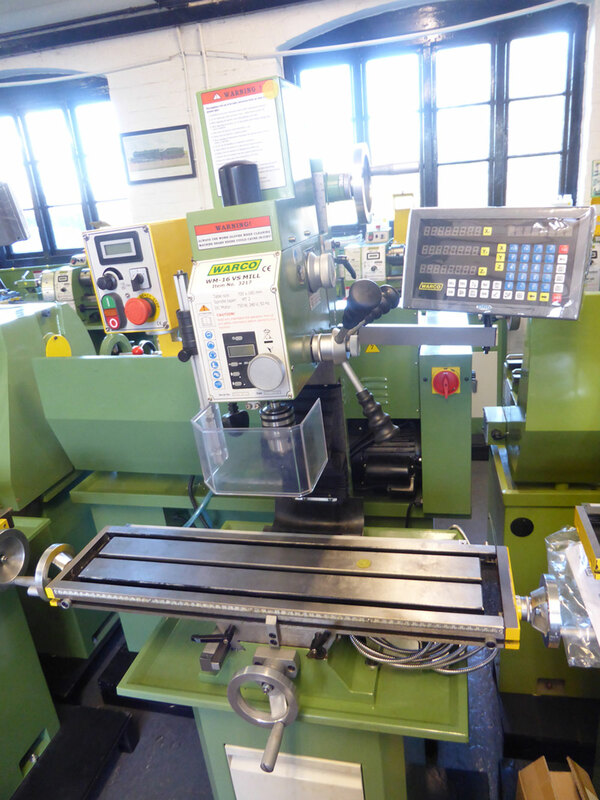 Now those machines are all being used intensively on a daily basis – training a new generation of future engineers. At Warco we don’t consider any project too large or small, and are always happy to offer a bespoke quote centred around your requirements – whether you’re looking to update a garden shed workshop or want machines for a large scale installation in an industry or education setting. Feel free to browse our product range on the Warco site, and feel free to contact us if you have an enquiry or if you’re after a specific quote.